Light, robust and powerful electric grass trimmer with integrated overload protection. 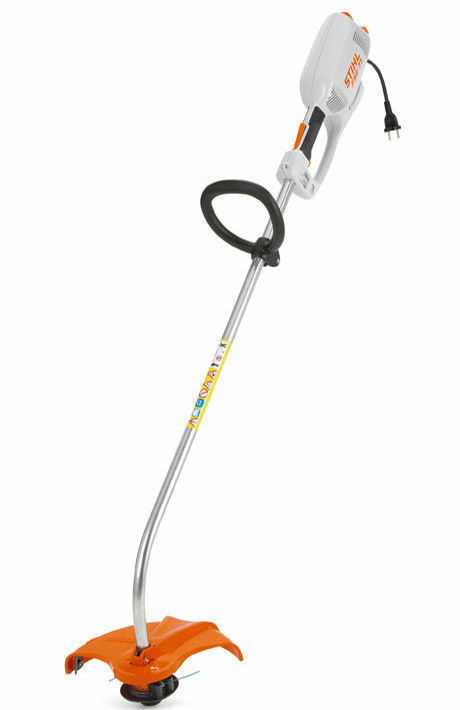 With AutoCut C 5-2 nylon line mowing head and comfortable rubberised 2-component handle. Perfect for trimming and thinning jobs and working on smaller areas in noise sensitive environments. Cable strain relief The cable strain relief prevents the power cable from becoming accidentally disconnected. Soft grip handle Ergonomic soft grip handle for increased user comfort.